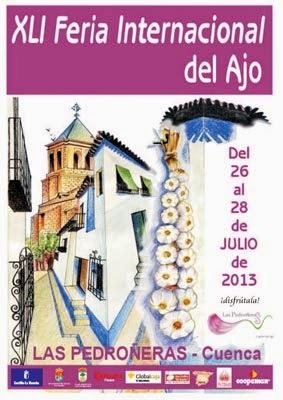 The 41st edition of the Garlic International Fair was celebrated in Las Pedroñeras during the last 26, 27 and 28 of July. This fair is celebrated anually, despite the fact that it is a small fair for farmers and garlic lovers, it is a place where we can buy and spend some fabulous time. The fair is absolutely centered around purple garlic, which is the most important product in our area and then, the fair has different activities, e.g., cooking contests with garlic as the main ingredient, creating a string of garlic (they got to create a string of 138 meters this year that is the largest in the world), master classes about garlic and all its benefits,... even there is a specific machinery section of garlic crop. We recommend it to our followers... it’s sure you will like it. 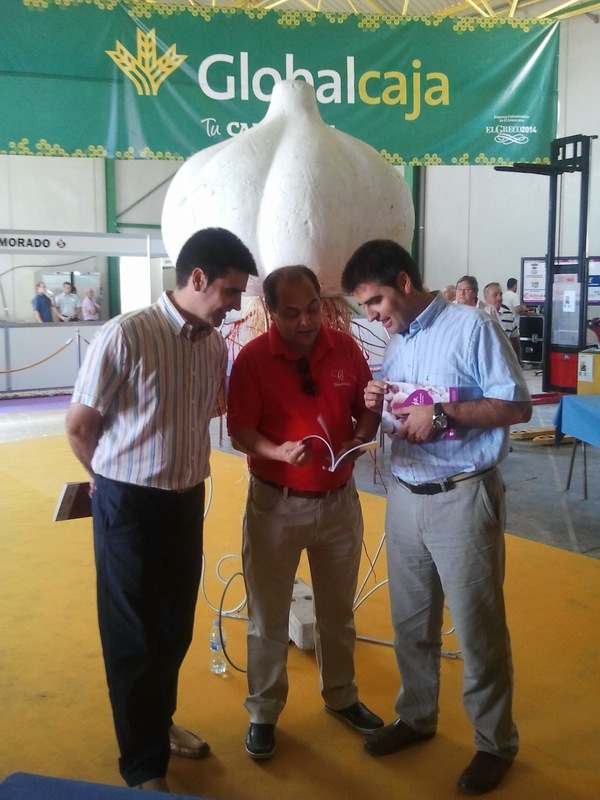 One of the first activities performed in this fair, on the inauguration day, was the presentation of our garlic book called "The garlic: machinery and cultivation techniques from the farmer point of view". It is a book dedicated to garlic crop which has been written by the three authors for farmers and technical people... we think it is a good manual for people who want to know more details about garlic (spring garlic, white garlic and purple garlic) and also for farmers who would like to begin working for wonderful garlic crop... we recommend it for you!! 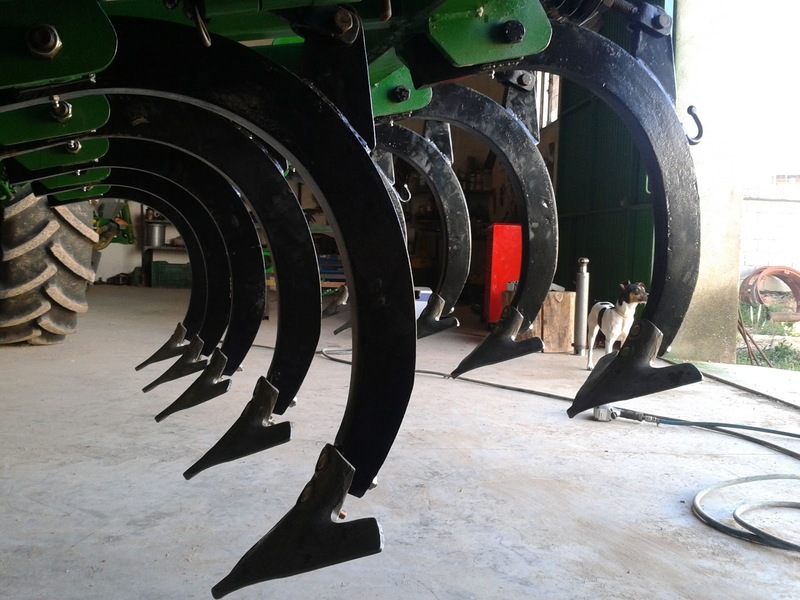 It has 11 rows (we think, maybe it is small for our tractor) of 30x80mm, so we won't have any problem when we are going to harrow stubble with strong soil. Stubble has an extraordinary hardness in summer with high temperatures, especially once it has passed a few weeks since harvesting day and the weather has been really sunny. We are going to carry out a comparative between Bellota and Casamayor tines, what were gifted by these two important companies for us. 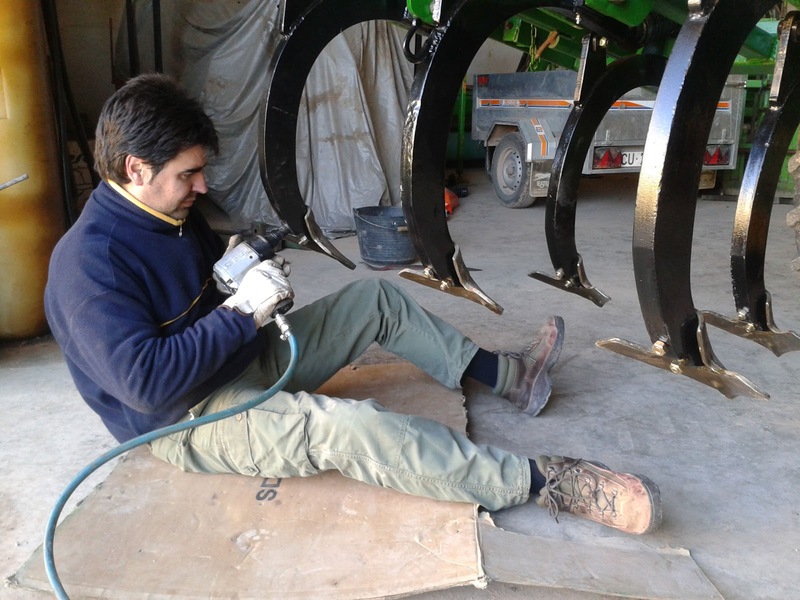 We are going to publish the results in next weeks as well, as soon as we will have data of the tasks performed and different behaviors of these tines used by our stubble cultivator.